Of the 1304 Olds 442 convertibles built in 1971 only 110 were W30s and only 32 were 4 speeds like this one. SOMEONE SENT ME A MESSAGE THAT THE CAR IN THIS VIDEO HAS SURVIVED THE YEARS AND IS TODAY ONE OF 11 DOCUMENTED 71 W30 4SPEED CONVERTIBLES OF THE ORIGINAL 32 MADE. Car and Track narrator Gordon “Bud” Lindemann (born August 22, 1925 in Chicago, Illinois — 1983) was a pioneer in motor sports broadcasting. Lindemann graduated from high school in 1940. He joined the United States Coast Guard during World War II, and was stationed on the USS Eastwind in the North Atlantic. While in the service, Gordon met his future wife Kay and they were married on February 9, 1945. Lindemann worked briefly in radio in Boston following the war before moving to Grand Rapids, Michigan in 1946. “Big Bud” (another nickname) then became actively involved in motor sports in the mid-1950s as an announcer at the now-defunct Grand Rapids Speedrome. He later worked at the Berlin Raceway and the Kalamazoo Speedway until the mid-1960s. In 1964, while working for the WZZM-TV broadcasting company, he developed a program called “Autoscope”. The show featured local races as well as some national events. “Autoscope” became a local success, and in 1967 Lindemann expanded by forming his own production company, “Car & Track Productions”, owned by Lindemann himself and operated by many of his own family members. Subsequently, he sought to produce the first nationally syndicated television show devoted to motor sports and many additional auto forums. Entitled “Car and Track”, the show was carried by over 160 stations across the country and covered over 250 racing and auto events. 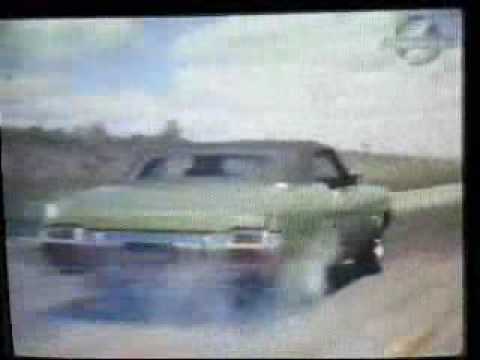 In 1975 “Car and Track” ended its eight-year run on CBS. The show was resurrected on the cable network Speedvision (now the SPEED Channel) in 1996. In 1976, “Car & Track Productions” began producing racing features for major sports shows, including “ABC’s Wide World of Sports” and “CBS Sports Spectacular”. Lindemann also initiated another new trend by producing ten-minute motor sports-related theatrical shorts. It is believed that he continued these until his next creative venture in 1979 when he produced a new series featuring author George Plimpton of “Paper Lion” fame in 1979. Entitled “The Ultimate High”, the program followed George as he participated in various sporting endeavors. Some of these included skydiving, hang gliding, kayaking and windsurfing. Plimton was also filmed driving a Carl Haas Can-Am car and sharing an IndyCar ride with a rookie driver named Bobby Rahal. The Grand Rapids Press makes reference to the passing of Gordon “Bud” Lindemann from cancer in 1983. In 1991, Gordon “Bud” Lindemann was inducted into the Michigan Motorsports Hall of Fame. read more from "1971 Oldsmobile 442 W30 455 Convertible Road Test Drifting @ Grattan raceway"
Emerald Hills Extra Closet is located in Hollywood, Florida. They provide affordable and secure storage units for household, commercial or warehouse storage. Emerald Hills Extra Closet has a large range of storage options ranging from air conditioned and non-airconditioned units as well as boat and RV storage solutions. 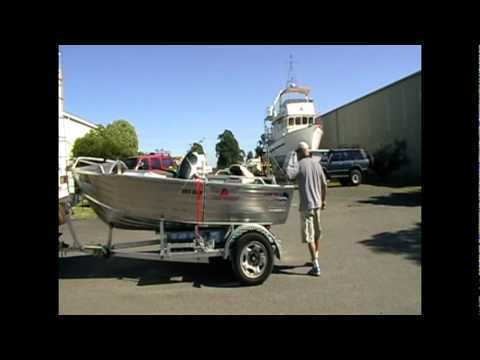 read more from "Emerald Hills Extra Closet | Self Storage | Hollywood FL"
FOLD A BOAT is a unique prototype built by me from my personal use to take my motor home, car and 4 meter boat around Australia. At my age (64) with an injured back the goal was to design a system with no lifting and quick set up (4-6 minutes) for a 4 meter boat by single person. The prototype design is based on cutting the boat in half to capitalise on space and use the boat as a secure storage for the 30Hp, jackets, fishing equipment etc. The trailer has been fitted with a turn table & electric brakes to ensure that any car could be towed. read more from "Fold A Boat.VOB"
read more from "Self Store Moorabbin Video"
Looking for a safe place to store your antiques, vehicles and other valuables? Check out Safe & Secure Automated Self Storage of Coconut Creek. This South Florida storage center has an automated system that safely brings your storage unit to you, eliminating the need to drag your valuables up steep stairs or crowd into an elevator. Watch the video to see how it’s done at Safe & Secure Automated Self Storage of Coconut Creek. read more from "Safe & Secure Automated Self Storage of Coconut Creek FL"
Chrysler — is in trouble. No analyst knows this icon’s ultimate fate. The best gauge of Chrysler’s future viability is the promise of its most recent products. this Dodge Journey isn’t perfect, but it demonstrates a solid foundation to build on. which is frankly unrefined and at times not fully thought out. This crossover somehow seems lighter than its competition. Clever packaging solutions prove the Journey is built by people who really live in their cars. the Journey is most comfortable when used as a five-seater. but the rearmost bench is tight for bigger occupants — that makes it: a ‘sometimes seat’. Behind the second row, the Journey offers 7 cubic feet more cargo space than the competing Toyota Venza. But the Journey’s storage story hardly ends in the hatch. and a ‘chill box’ can cool down two twelve-ounce cans. Your kids will figure out how to fill the rear in-floor storage space. IF that talent is nurtured and engineers’ brave ideas are respected. and exhibits none of the shockingly careless panel gap found inside the Toyota Venza. But at night, a comprehensive LED lighting pack floods the cabin with crisp light on approach. Ambient lighting in the front footwells is tasteful, but doesn’t extend to the rear. That’s too bad — kids are more appreciative of lighting that chases backseat boogiemen away. Center stack ergonomics — deserve revision. Climate controls are simple to remember and usually don’t require a driver’s eyesight. The stereo head unit, on the other hand, sometimes requires a driver’s eye to operate. As a general rule, displays should be close to the driver’s line of sight to reduce distraction. Inexplicably, the Journey’s climate controls are stacked atop the stereo. It’s amazing that, after decades, the gunsight grille hasn’t grown stale. As new materials and aero techniques emerge, the crosshairs can evolve and take new forms. Tight panel gaps and squinting headlamps lend a sense of precision to the front quarter. Rear styling is contemporary, if not tall and narrow. but gains them back for offering two bright blues, a declarative red, and a fresh sage hue. with 19-inch alloys that nicely fill the wheel wells. but the Journey is light on its feet at speed and proves easy to manoeuver in sedate situations. The 3.5-liter V6 is noticeably underpowered, especially in comparison to the Ford Edge and Toyota Venza. Both competitors have around 30 more horsepower, more useful torque, and deliver more MPG. At 232 horsepower and 235 pound-feet of torque, I feel that a turbocharged four-cylinder could do a better job. More aggressive downshift mapping would help the six-speed automatic cope with freeway passing, too. The best family haulers can handle people without asterisks. With slight interior and powertrain tweaks, the Dodge Journey could lead in its class. Until then, the Journey is a reminder — that Chrysler might not be down for the count after all. read more from "[cc] 2009 Dodge Journey SXT Video Review"
The Self Storage Center. $1 Pays First Month’s Rent. read more from "The Self Storage Center. $1 Pays First Month’s Rent."